housing policy – We need a national housing strategy now! If you were in charge, what would you change? On June 25th, 2015, the Supreme Court ruled that a Charter challenge holding governments responsible for the crisis in affordable housing and homelessness will never be heard in Canadian courts. The courts refuse to hear the people, but the people will be heard! We will continue to take to the streets until we have a national housing strategy. The new Liberal government campaigned with a promise to fix our affordable housing crisis and we will hold them to this. 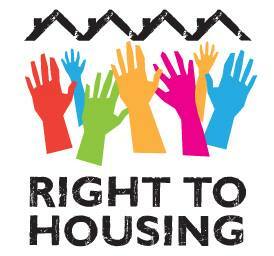 We are calling for the government to ensure that everyone has the right to housing. 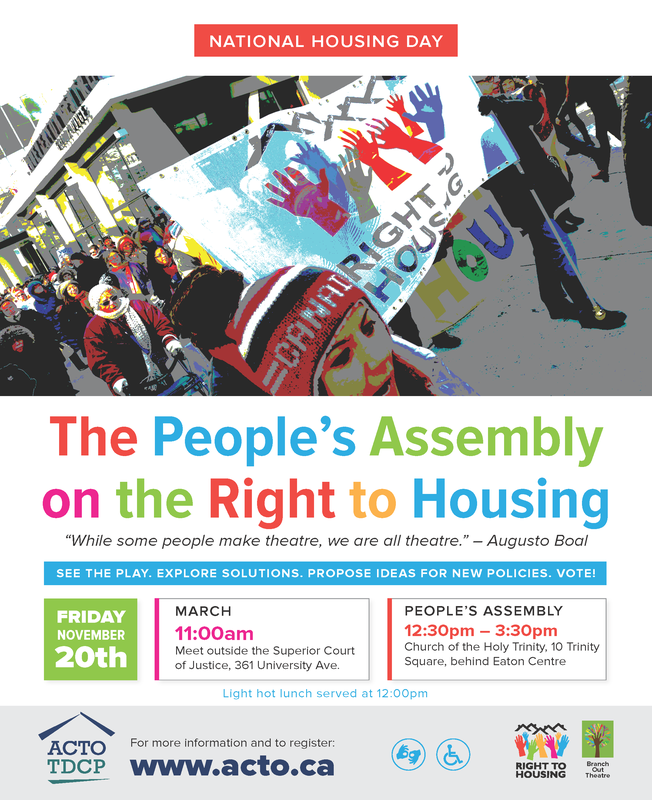 Join the People’s Assembly on the Right to Housing to help imagine what a national housing strategy will look like. Rise up, speak up! Be a “spect-actor” in our legislative theatre chambers and join our collective voices for an end to the affordable housing and homelessness crisis! Watch a short play based on local community members’ lived experiences of homelessness and housing struggles. Act onstage to offer alternative solutions to this systemic problem – on the individual, institutional and government levels. Propose policy ideas which will be heard by housing advocates, policymakers, legislators and others witnessing the process. Vote on the laws you want to see passed. An interactive performance/community dialogue performed and facilitated by Branch Out Theatre. Free – all welcome! Wheelchair accessible. ASL interpretation provided. A light, hot lunch will be served at Church of the Holy Trinity at 12:00pm. This event is part of a national day of action.